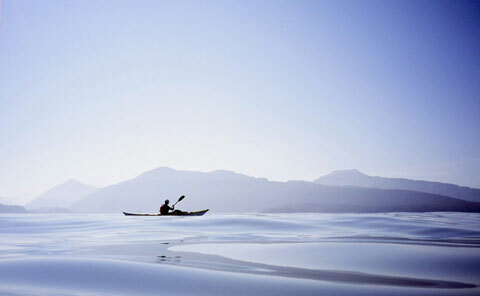 Sea kayaking: Sea kayaks are the ideal boat for exploration and adventure. Many visitors to the capital, and many Londoners themselves, do not realise that the river Thames is tidal. The tides reach as far west as Teddington Lock, some 17 miles from the center of London, where a system of weirs and locks block the incoming tidal water. With tidal flows of up to five miles an hour the tidal Thames is not the place for an inexperienced kayaker or canoeist, but several kayak clubs actively paddle on the Thames, and will ensure that inexperienced paddlers only go out under the guidance of experienced canoe coaches or leaders. Most canoe clubs will use sea kayaks on the River Thames. The sleek shape of sea kayaks allows kayakers to cover long distances, and the hatches provide plenty of room for drinks and snacks! For more information on Sea Kayaking, and the London clubs that participate, see the links below.